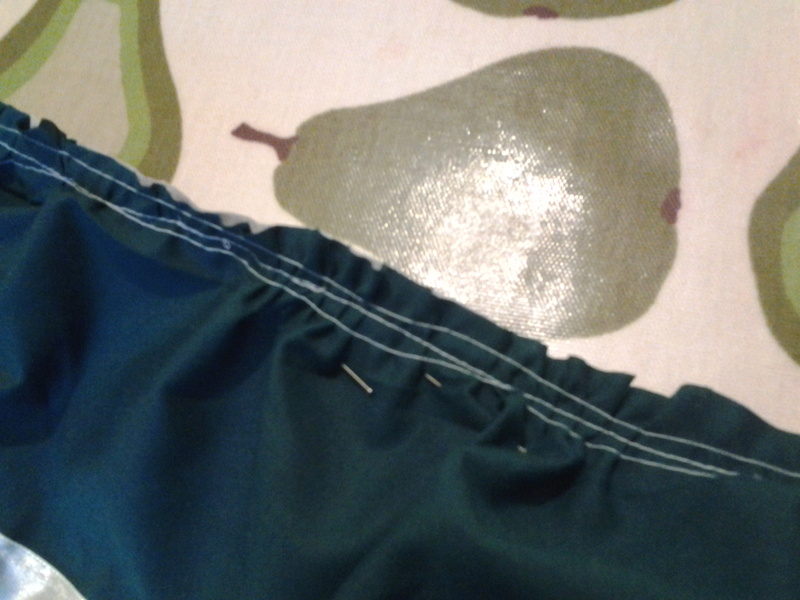 No, not the physics of big bang theory, or theology, but I thought I’d write about how my current batch of sewing started. Well, it was with a phone call to my Mum. I interrupted her watching The Sewing Bee (http://www.bbc.co.uk/programmes/p0165nj8), but rather than asking me to phone later or turning it off, she gave me a running commentary on the program whilst I tried to talk to her. Which was a bit confusing for something so visual, so after we got off the phone I watched it on iplayer to see what it was all about. Then the same thing happened the next week. Then I was hooked (I went around to watch the final with her). The programme finished after 4 short weeks, so I started reading the sewing related blogs written by two of the contestants, Lauren (http://www.guthrie-ghani.co.uk/blog) and Tilly (http://www.tillyandthebuttons.com). 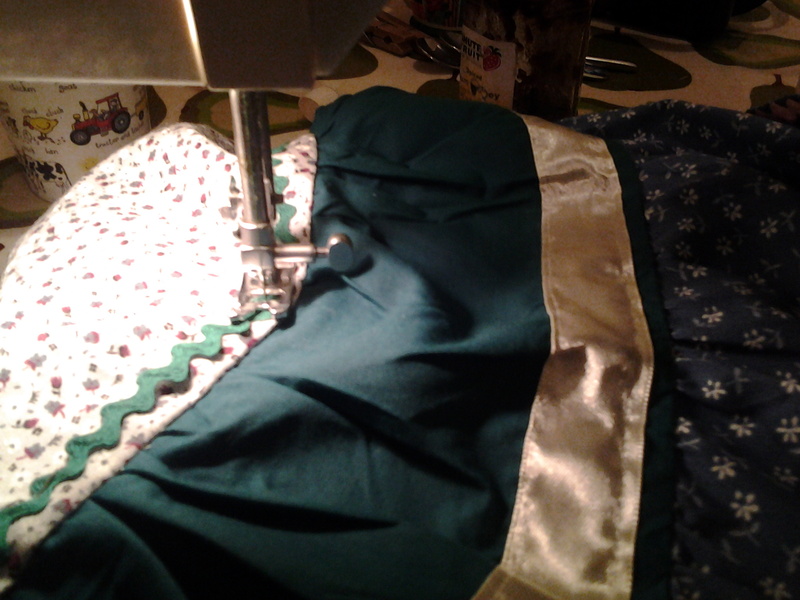 Which lead to me thinking about sewing clothes, which I hadn’t done since it was part of my textiles lessons at school. I have done lots of sewing in the past 20 years, but bags and curtains and other rectangular things that don’t need to fit. The flowery scraps were off cuts from a cot bed duvet cover I’d made her a while ago that she’d not long grown out. And the ric rac braid and ribbon all came from the part of her great grandmothers stash that I’d recently inherited.
. Then I used two rows of loose tension long stitching along the other long edge and pulled the ends to gather the bottom piece to the size of the middle one, then pinned and sewed the seam. It helps to mark quarter points along the line of each edge you’re joining before you gather, to help get the gathers even (trust me, I learnt the hard way). 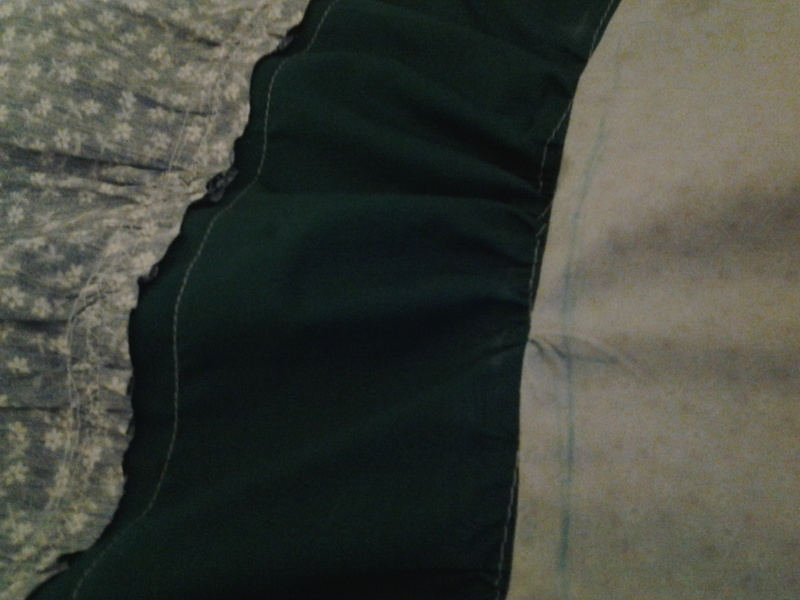 2 lines of stitching are gathering, one is the seam, excuse the wobbliness! 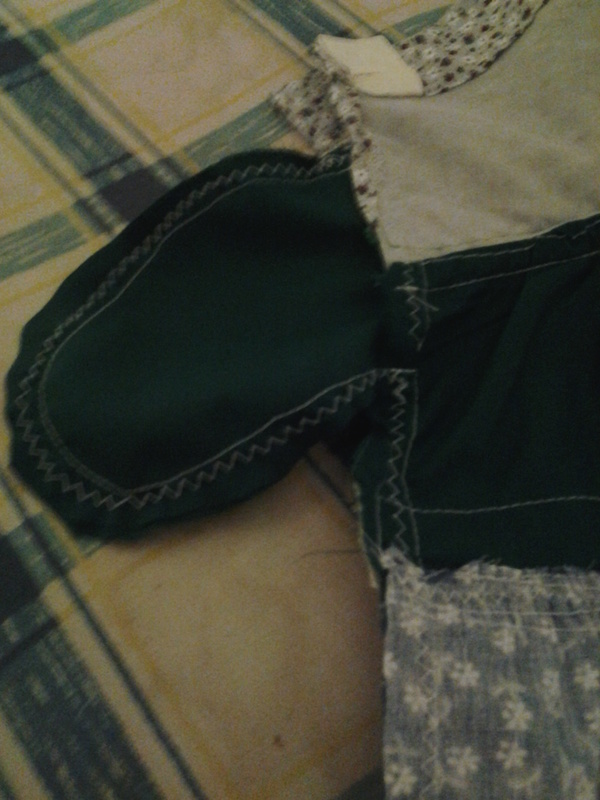 For some reason I can’t fathom out now, I decided to use a French Seam to sew the middle piece to the top, as well as having gathers to contend with. I can only think it was something to do with finishing the edges. The three joined pieces, seen from the wrong side. Before I joined them at the side, I made a pocket bag and added that in, as I really think that the lack of pockets on so many women’s and girl’s clothes is is some kind of form of repression. Ok, maybe that’s an overstatement, but they are definitely useful. 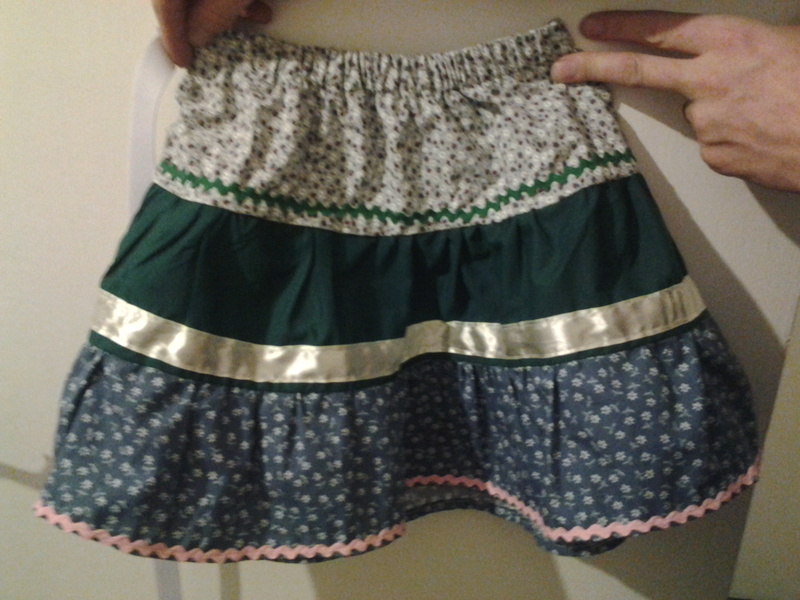 I just did a simple fold over casing for the elastic waistband, but I did add a couple of satin tags for my label girl. I also thought they’d help her line up the pocket at the side. And the verdict? One very pleased girl who has worn it lots all summer. Annoyingly the first time she wore it the “vintage” satin ribbon pilled and now looks like it’s been rubbed along a brick wall. (I keep meaning to replace it…) It was criticised for not being twirly enough, her favourite skirt is actually a full circle, so room for improvement there. And she does use the pocket to keep tissues in, but it’s not big enough to fit her whole hand in, whoops. 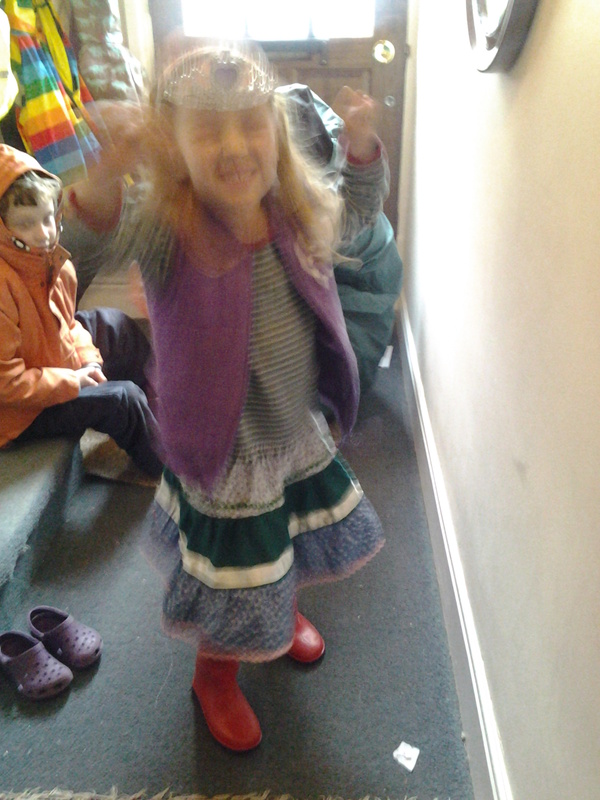 I know the sewing is a bit rough and ready but I don’t mind, the point was to get something made and use up some scraps (all I bought was the elastic) and I always knew that once she had it on no-one would notice as she’d never keep still in it. And I was right! 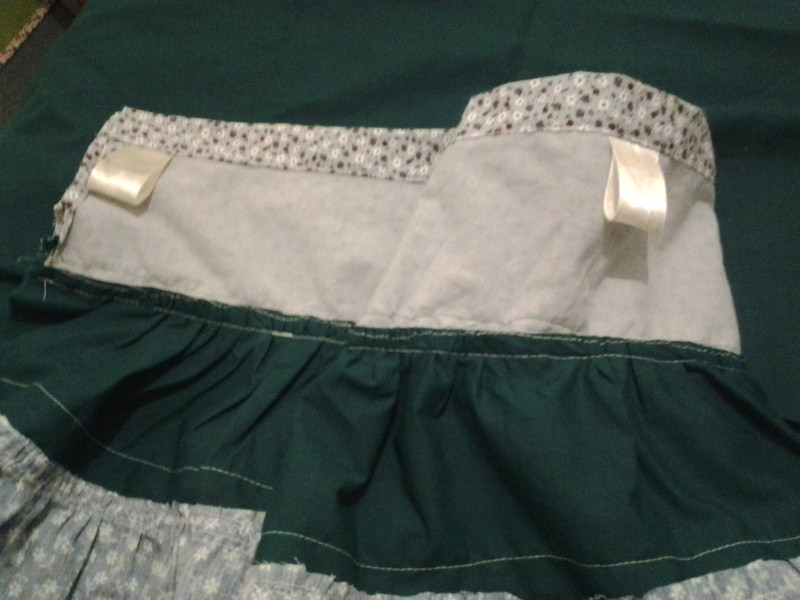 This entry was posted in Uncategorized and tagged beginning, french seam, gather, girl, ribbon, ric rac, satin, sewing bee, skirt, stash buster, twirl. Bookmark the permalink. YES to pockets! It is so rare that I make something without them, and on the few occasions I skip it I totally am kicking myself every time I wear the item. I’m impressed with your math skills on a tiered skirt–I’ve tried winging one with disastrous results. Thanks Beth. 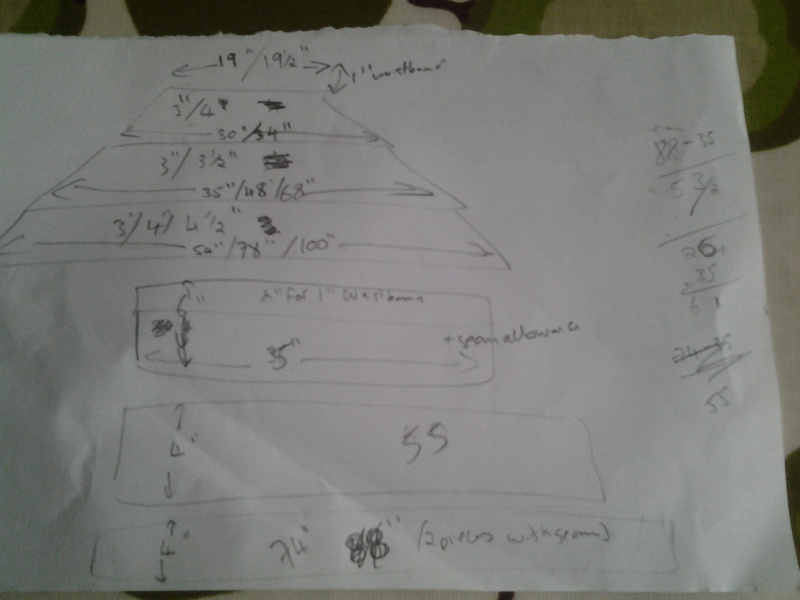 I must confess to being a major maths geek. I’ll try and put some user friendly calculations together.